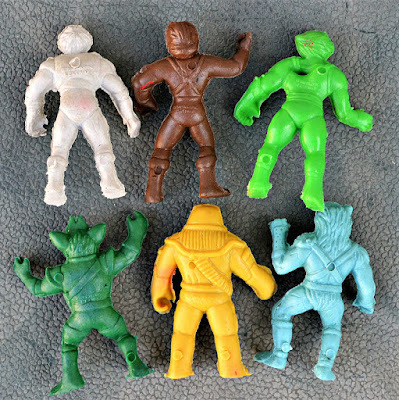 I have a weakness for bootleg toys, especially when they're from the '80s and fantasy-related. 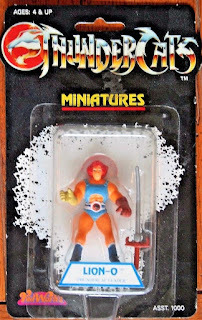 So when the opportunity came up to grab these Thundercats bootleg mini figures, I had to pounce on it like a musclebound cat-humanoid taking on evildoers. These apparently originated in Mexico. 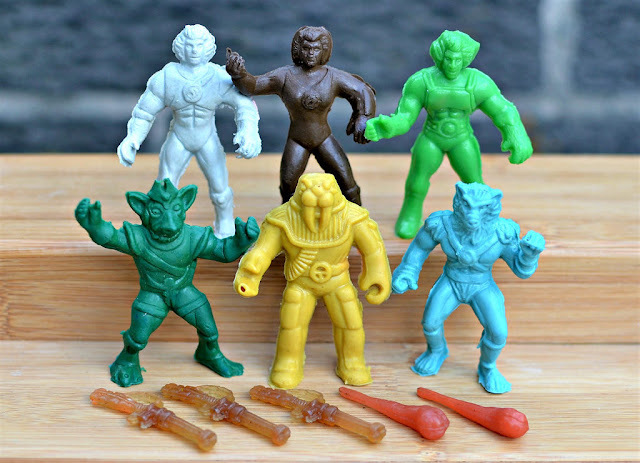 They are monochromatic copies of the official LJN Thundercats Miniatures released by LJN in 1986. I don't own any of the originals, but below are some pics I yoinked from eBay as a reference. 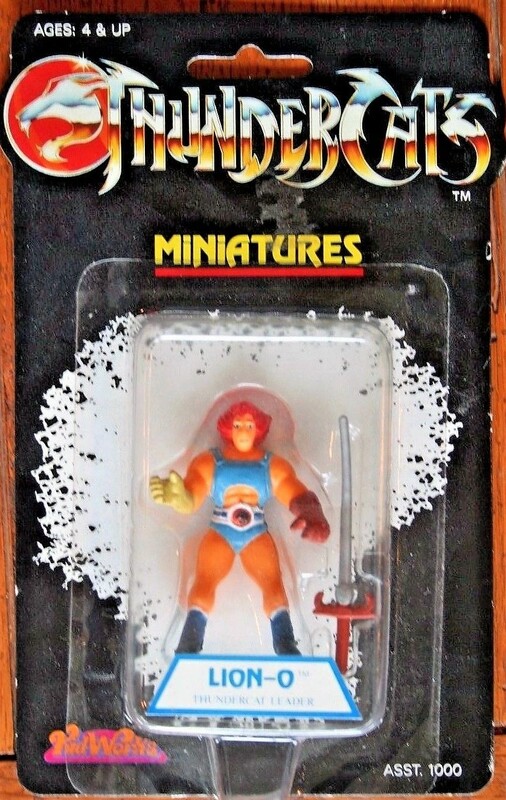 I'm admittedly not a Thundercats expert, but I think the characters I have as bootlegs are Lion-O, Cheetara, Tygra, Tuska, Jackalman and Ratar-O. 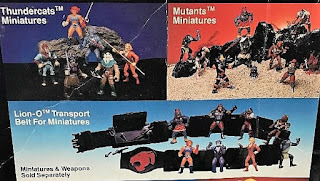 It looks like there were around 15 different minis in the official LJN line. I'm not sure if every single one of them was bootlegged for this Mexico set, but you can see several others as part of the fantastic collection of fantasy minis over at the Fantasy Toy Soldiers blog. 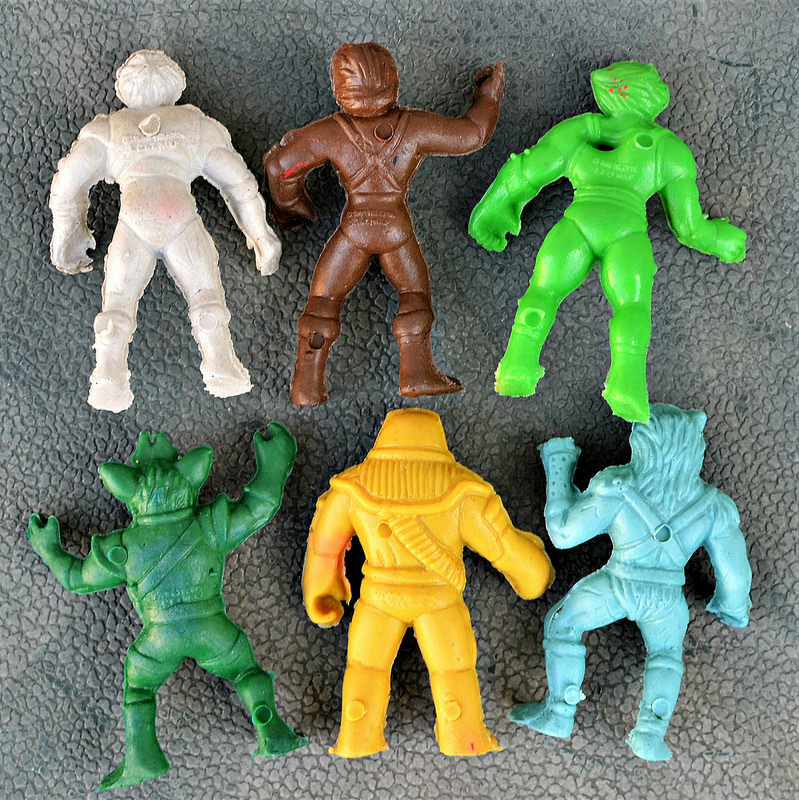 And here's a shot of the backs of these figures, just for posterity. And that's pretty much all I know about these things! If anyone else owns any, I'd love to see photos or find out any additional information you can share about them. Nice post. 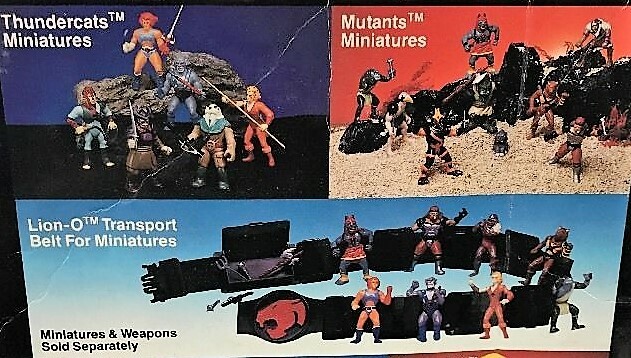 Did those weapons come with the figures? I did not get much for weapons in the lots I picked up. Thanks Shaun. The person I bought them from said the weapons were included with the figures.